JD Contractors, LLC has been servicing regions of New England for nearly three decades. We have been providing general contractor, remodeling, renovation and other services for both residential and commercial clients. Many of these services have been done in major cities including the city of Portland in the beautiful state of Maine. 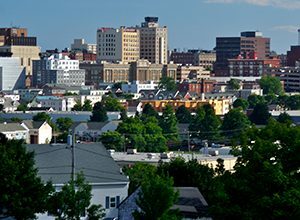 As Maine’s largest city, we have helped many residents, whether home owners or business owners with projects. With a population of 203,914 there is no shortage of work that is available to us. With the population increasing in the summer months due to warm climate conditions, with tourists traveling to the city. Portland is the location for the largest school system of the state of Maine as its per capita restaurant density being among the top cities in the country. If you are interested in our services contact us today for an estimate!